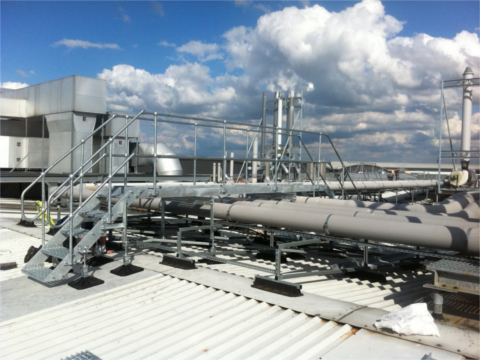 Ascent™ Step Units & Up and Over Stairs provide simple access solutions to complex access issues, including how to get over ducting, pipe work, cable trays, gutters and parapet walls without compromising the health and safety of the worker in line with the Work at Height Regulations (2005). 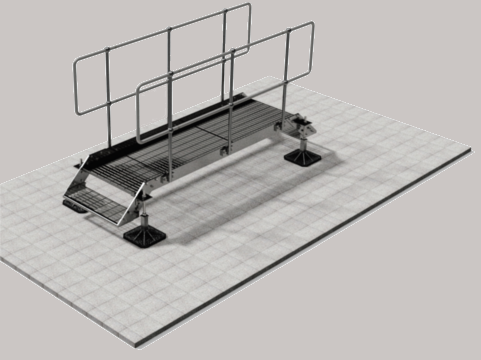 In developing the Ascent™ step range our aim has been to create a standard range of “flat pack step units” in galvanised mild steel. 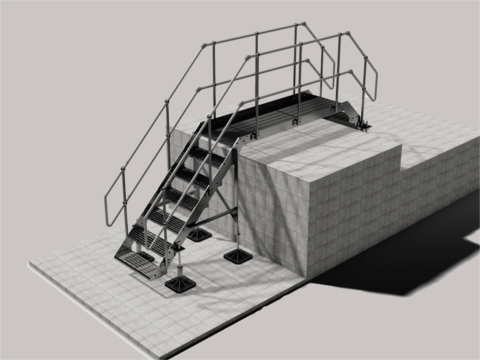 A step unit that is available off the shelf, which will meet all the challenges that you face when creating safe access. 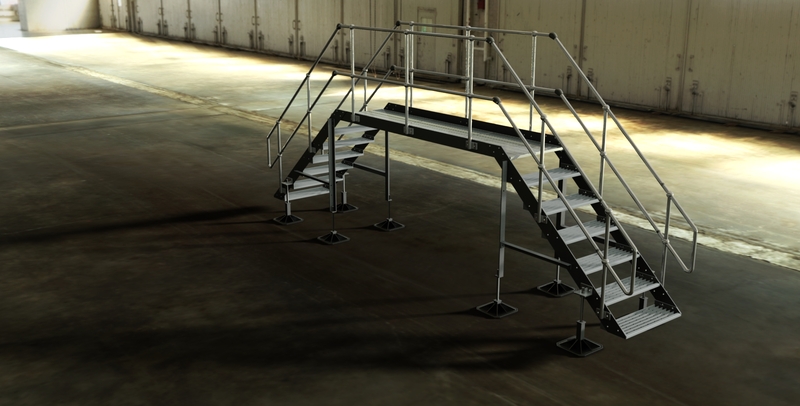 The Ascent™ Up and Over Stairs are the result of extensive Research & Development. 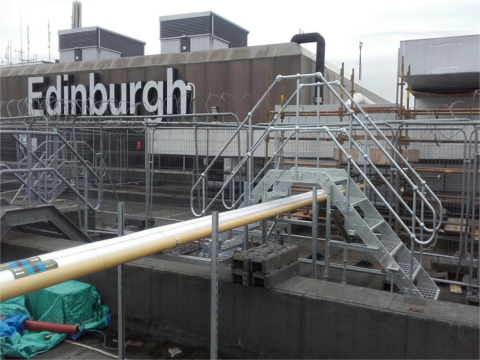 This investment in both design & manufacturing technology has allowed us to create a step system, flooring, stair treads and handrails for industrial use and manufactured to BS EN ISO 3834-2:2005 and BS EN 1090-1:2009 + A1:2011 & 2:2008 and CE Marked Fabrications. This has produced an accurately manufactured product which is both easy to specify and install. 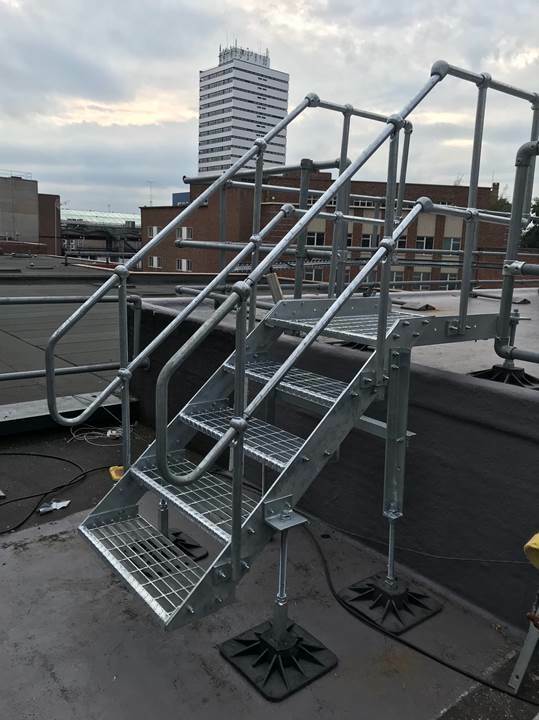 - Ascent™ Step Units offer the on-site adjustment you have always wanted whilst giving the safety and finished appearance of a bespoke product. 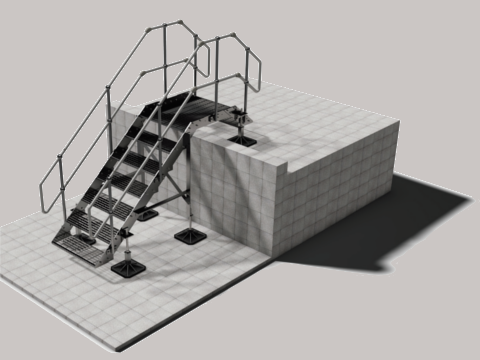 - Ascent™ step units are available as either Up & Onto or Up and Over Stairs and are complemented with a range of platforms to clear your obstruction. 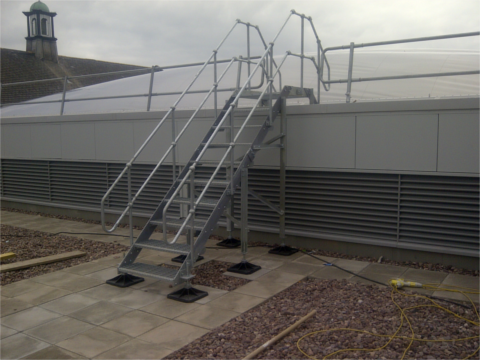 - Ascent™ Step Units are supplied with freestanding feet enabling a safe and secure fit without roof penetration. - Ascent™ products have been approved through the necessary safety and structural calculations and are supplied in compliance with BS EN ISO 3834-2:2005 and BS EN 1090-1:2009 + A1:2011 & 2:2008 and CE Marked Fabrications. 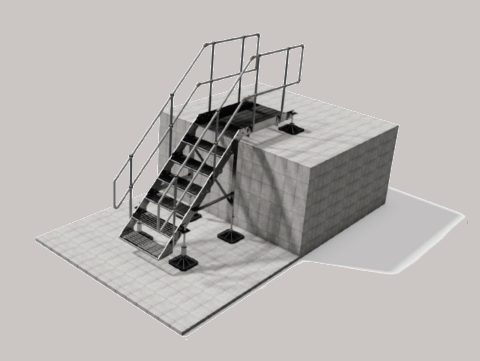 Pair our step unit or up and over stairs with the handrail/guardrail, or read more about our up and over stairs. Click the link to find out more! 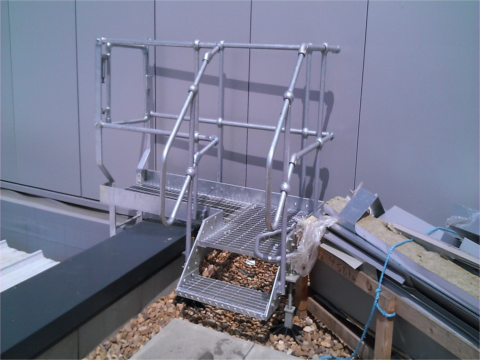 A few Ascent™ Up and Over Stairs & Step Unit that we have supplied.